News Photo by Jonny Zawacki The Alpena baseball team includes from left to right: back: Lars MacArthur, Owen Limback, Chris DeRocher, Logan Guthrie, Lucas Crosby, Chandler Lantz, Cody Sumerix and Colin Donajkowski; front: Austin Ritter, Aidan Goike, Kyle VanDusen, Colby Plowman, Bruz Copping, Alex Cosbitt, Anthony Berg and Clay Donajkowski. 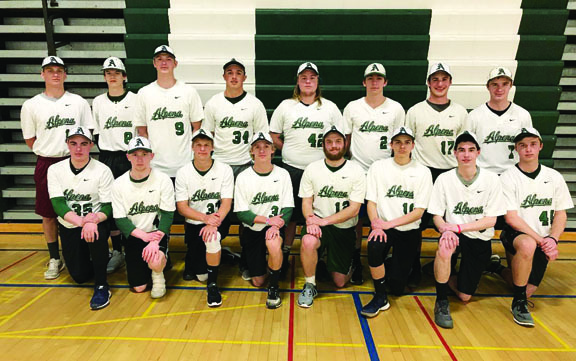 For the first time in seven years, the Alpena High baseball team will enter a season with the target on its back. 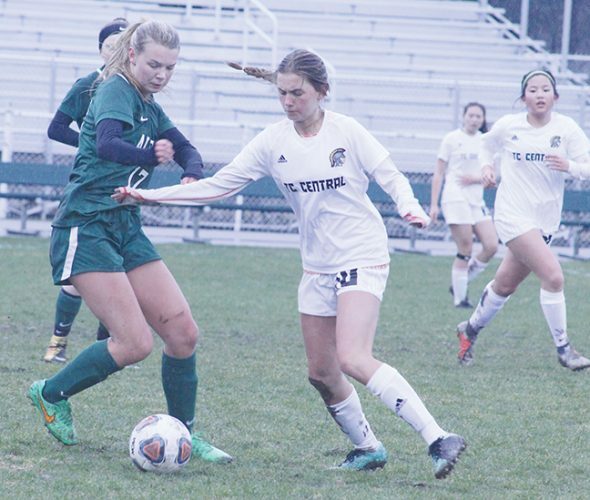 The Wildcats used a thrilling come from behind victory to shock Traverse City West in the district championship game last year in Alpena. 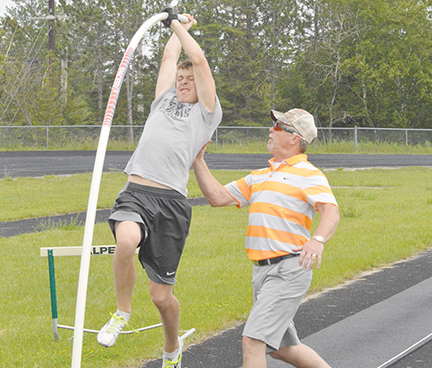 Alpena enters the 2018 season determined to defend its district title and brings back a handful of experienced players that were apart of last season’s district title team. The Wildcats will still be young this season based on age, but the 2018 team will have plenty of experience as they return several starters from last year’s team, along with bringing back other capable players, giving Schultz plenty of options during the year. 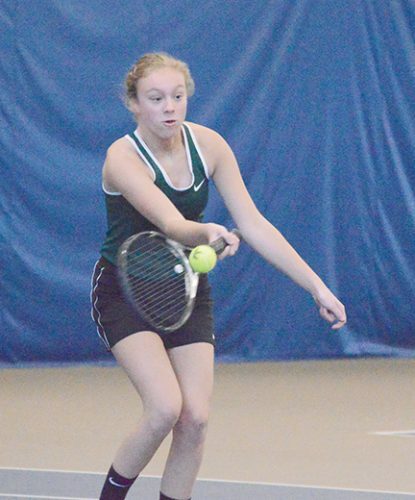 The Wildcats return three seniors in Chandler Lantz, who broke the school record for singles in a season last year, Lars MacArthur and the team’s ace Lucas Crosby. Along with those three seniors, Alpena returns four sophomores, Bruz Copping, Aidan Goike, Chris DeRocher and Logan Guthrie who each played pivotal roles last year. DeRocher will spend time playing first base like he did much of last season with Owen Limback backing him up when DeRocher is on the mound. Lantz will return to his second base position. MacArthur, who is a three-year varsity player will return as the team’s shortstop. Copping will hold down the hot corner and will also be relied on as the team’s number two pitcher. The outfield will consist of Goike who will patrol center field and bat leadoff, with Guthrie, Colby Plowman, Limback spending time in the corner outfield positions. Kyle VanDusen will play in different spots on the infield and serve as a utility player who can handle the bat and has good speed. Colin Donajkowski will start behind the dish with Anthony Berg serving as a backup catcher. 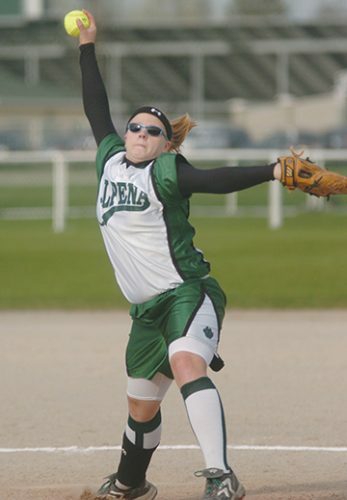 The Wildcats have a lot of depth in different areas and have a number of reliable pitchers they can go with to give them good innings which could be crucial, especially with the possibility of a condensed schedule and the state’s pitch count rule.